Scallop, romanesco broccoli , enoki mushrooms and poppy seeds. Lightly seared scallop with enoki mushrooms with slightly steamed romanesco broccoli with a drizzle of tabasco, soya sauce with honey and black pepper. 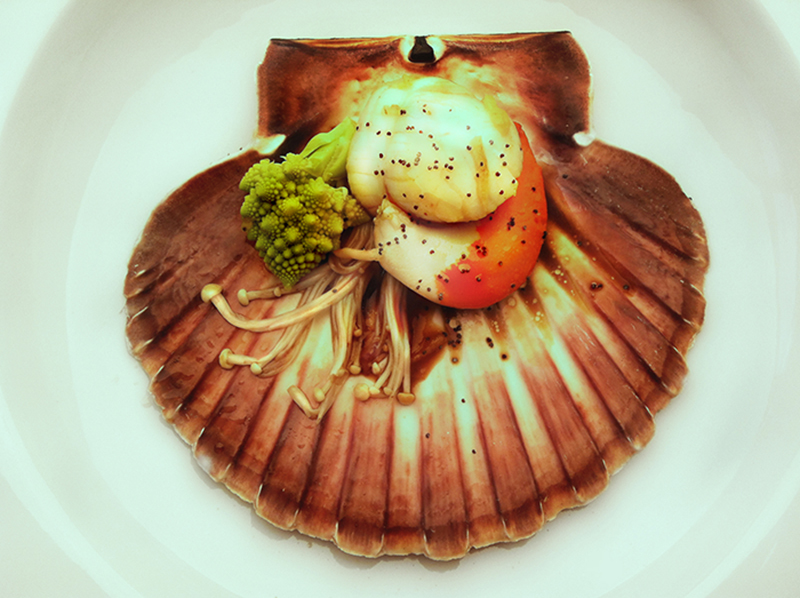 Posted on 18th February 2015 18th February 2015 Full size 800 × 598Leave a comment on Scallop, romanesco broccoli , enoki mushrooms and poppy seeds.